LEGENDARY Chimurenga music exponent Thomas "Mukanya" Mapfumo, concluded his "Peace Tour" with a show in Chitungwiza last Friday but there seems to be no peace to talk about at his beloved club Dynamos where spears have been sharpened for yet another fresh boardroom battle. A storm is brewing at DeMbare where former president Solomon Sanyamandwe was last week sacked by controversial board chairman Bernard Marriot, with insiders at the perennially squabble-ridden club saying another shake-up is expected in the "not too distant future." While current chairman Isaiah Mpfurutsa appears to be safe, our sources say more changes will be effected in the executive amid reports that former vice chairman Philip Mugadza could also bounce back into the picture. Sanyamandwe's predecessor, Keni Mubaiwa who like the former is owed thousands of dollars by the debt-ridden club, is also being tipped to return to DeMbare as a board member. Sanyamandwe has declared that he will not go down without a fight. "I know my crime was that I wanted to bring professionalism and good corporate governance at the club. "I was also pushing for an audit, but I realized that an audit was the last thing wanted at the club. "For now I am making necessary consultations before I launch a fight for justice. I have put in a lot of my own resources at the club and for individuals to just decide they no longer want me around, just like that, is not fair," fumed Sanyamandwe. The chaos at the club, is threatening to overshadow pre-season preparations, has not escaped Chimurenga music icon Mapfumo, a staunch DeMbare supporter and a man with a shared history with Dynamos' incumbent leader Bernad Marriot. Mukanya once employed Marriot as a guitarist back in the days. The 73-year-old Mapfumo, who was raised in Mbare where Dynamos was formed in 1963, called Marriot to order during an interview with The Sunday Mail last Friday. Marriot has openly declared that Dynamos is his own property on the basis that he is the sole surviving founder member of the club formed in Sam Dauya's house in Mbare some 53 years ago. This is despite the fact that some key co-founders of the team like Nathan Maziti who has retreated to his rural home in Murehwa and Ernest Kamba are still alive. "Marriot is a longtime good friend of mine. He was actually my guitarist back in the days, so I can be blunt with him. "He should change his ways, it's sad that you hear today that Dynamos belongs to an individual when we all know the club was formed in Dauya's house in Mbare for the community. "Dynamos is not an individual's team, team "iyi ndeyevanhu" (this team is for the people), so why not give the team back to the community. "We all know big clubs in Europe like Barcelona and Real Madrid are owned by the supporters, so what is peculiar with DeMbare," thundered Mapfumo. The dreadlocked musician tried his hand in football when he sponsored former Premier Soccer League club Sporting Lions until 2005 when he left for the United States of America. "The Sporting Lions project remains dear to me, I wanted to show people how a professional football club should be run and that's why we bought kits from overseas and paid our players well. "I have always been a football person, if you ask George Shaya, he will tell you we grew up together in Mbare. "By the way, we would abscond sporting activities at Chitsere Primary only for George to end up being a soccer star later on," revealed Mapfumo. "It is baffling that by now DeMbare does not have its own club house and its own Stadium. Dynamos should be the richest club in the country but now we hear of FC Platinum and Ngezi who have overtaken this football giant. 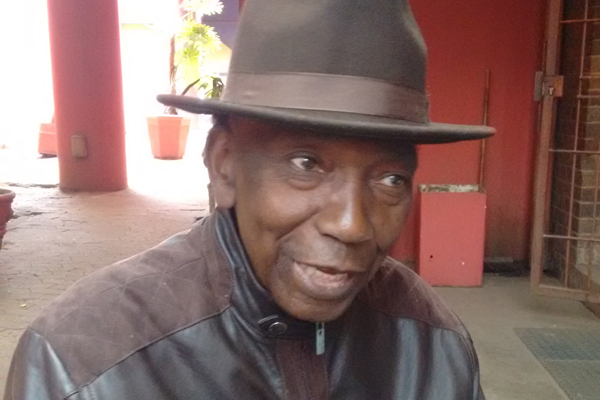 "I love Dynamos; I grew up supporting Dynamos", Mapfumo said. "Today you hear DeMbare belongs to Nhekairo, tomorrow the team belongs to Bernard Marriot but you can't own Dynamos as an individual, this is an institution that is bigger than any individual." A fan of English Premier League log leaders Liverpool, "Mukanya" also spoke about his wish to see more Zimbabwean players plying their trade in major European leagues. "I watched that Liverpool game we lost 2-1 against Manchester City (last Thursday) and I thought we were denied a goal, that ball crossed the line," said Mapfumo with a chuckle. "But on a serious note whenever I watch Liverpool I always wish Mane' was Zimbabwean, I think by now we should have our own players in those major leagues like the English Premiership. "I watch football all the time, even when I am in America I start watching soccer as early as 4am because of the time difference between America and Europe," said Mapfumo.